WHAT TO DO WITH THE NAPOLES LIST? First, we must check the authenticity of the affidavit she submitted containing the list of people she dealt with in her illegal financial machinations of the people’s money. 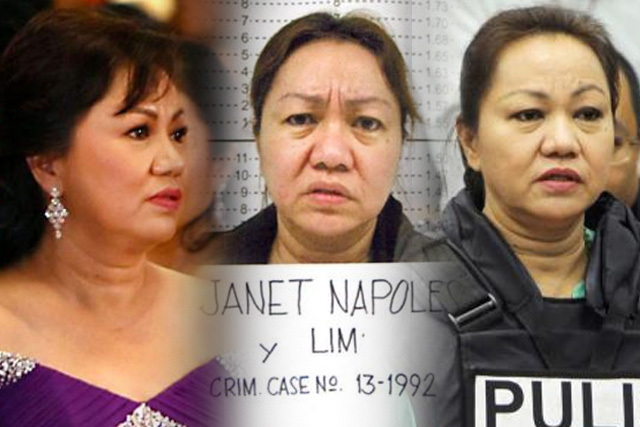 According to Janet Lim-Napoles herself, it is everything she knew. It included how she formulated plans to facilitate and squeeze funds from government. This, according to her, did not pass through the rigors of ingenuity but was taught to her in a tutorial manner by government functionaries themselves. If government is a bank, it was breached as a consequence of “inside job.” This according to the fellow whose hand was caught in the cookie jar or more precisely, whose cohorts ratted on her running away with the cookie jar so to speak. Let us review what went before. There was this lady who was charged for maltreating her errand who happens to be her relative too. The relative went further and disclosed the extent of her other criminal activities, the relative even admitting that he was a knowledgeable accomplice for the illegal activities. The illegal detention case hardly made a roar but the disclosure of the other cases was a bomb, a controversy which would besmirched if not tarnish not only names of legislators and prominent personalities but the entire system of governance of the country. The controversy would wreck havoc on the integrity of the country’s budgetary procedures especially on the matter of dispensing people’s money. The cost was a staggering multi- billion peso loss pocketed and distributed among those involved. If the countryside is reeling in poverty and those in urban areas still submerged in penury, it was because its liquidity is trapped on the personal coffers of a few. The economic lifeblood of the people are filtered and secured by a few conspirators. Politics was used to defraud the people. And those handling sensitive posts in government were willing schemers in a game that would consign public service into a joke. Second, we subject the Napoles affidavit to a test. The lawyer of Napoles was of course behind the drafting of the affidavit and those with background in legal education would counsel their client that preparing a studied affidavit is not a way to disabuse information through allegations. It is a legal truism that for every allegation made, it should be supported with references or evidences. One of Napoles’ lawyers was even suggesting that the so-called Red Book (a compilation of records and receipts) be submitted also for the entire world to appreciate in lieu of the forwarded affidavit. With this, Napoles can be assured of her significance in filing cases and charges against those involved. From there it can be surmised that she can wiggle herself. Such a persuasion made her disclosure questionable. In her own estimation, she claimed that she came “from humble beginnings to being an ‘ordinary’ businesswoman; from scam player to ‘scapegoat’ of lawmakers.” The fact remains that while can point at her mentors as mastermind, her dutiful participation made the financial charade whole through a conspiracy—that is, defrauding government is not a one-mind act but an orchestrated activity. The crime of one is the crime of all. Third, the Napoles list is an instructive introduction on how to dupe government. Her affidavit could be used as case template. While it focused mainly on how little her guilt is in pushing the issue more against her fellow conspirator in government, it does not reduce the impact and gravity of the offense made against the people of the Philippines. Fourth, the list should go down in history as testimony of how lowly elected leaders have consciously cheated and desecrated their constituency to the point of sending the people’s future into the pits of hopeless paucity. Posted on May 28, 2014, in Uncategorized and tagged government. Bookmark the permalink. Leave a comment.